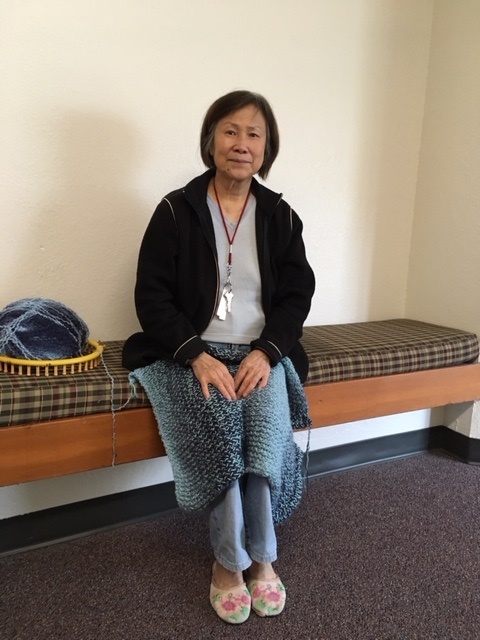 Helena, one of my neighbors, had never crochet before. But she wished to make her own blanket for her legs. She thinks an old lady should cover her legs when she sits and watching TV. It shows her dignity! Her niece was trying to teach her how to crochet. Poor Helena! Chains had no problem with her. But those single crochets and double crochets……..!? She spent the whole afternoon with her niece, struggled with single crochets and double crochets. When she came home, Everything was gone! She asked me if I could show her how to crochet. I can’t! With one hand to manage both hook and yarn at the same time? No way! I can only loom knitting. I was touched with her eagerness to have a homemade blanket! I introduced her loom knitting. 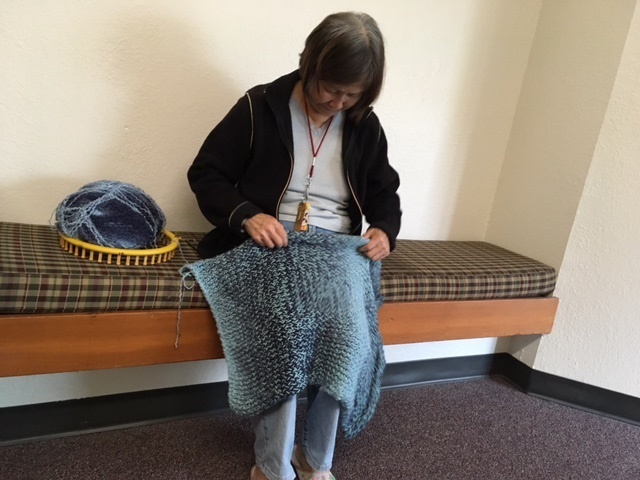 She never dreamed that it could that easy and fast to knit a blanket! 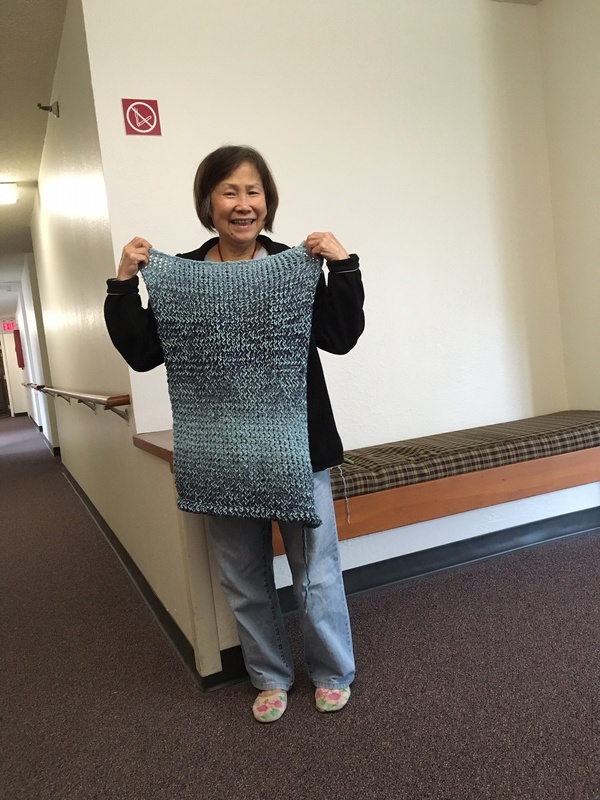 In just a few days she finished a beautiful blanket. Her very first blanket in her life! She was so happy and so proud of her work. I’m very proud and happy for her too. I don’t have to tell you how many times Helena had to redo her piece due to her mistake. Though she carried through to the end. I admire her spirit!